It can be a pleasure for children of all ages. Start them young and with any luck they’ll develop a lifelong love of the kitchen as well as skills they can use throughout adulthood. Firstly with CSD Activity Camps the cooking camps for kids the preschoolers get to see how the dishes they eat are put together and they get hands-on experience, which is a great way to learn and feel like they are helping out. Whilst school-age kids can learn some cooking basics and use their math skills as they help combine ingredients for recipes. We also can use the time to talk about good nutrition and why we chose the ingredients we are using. It can lay the groundwork for healthy eating later on. Finally teens might appreciate the chance to improve their cooking skills — good preparation for when they’ll need to cook for themselves. Teens also might be interested in trying different cuisines. It is interesting, creative, and exciting the emphasis is placed on learning-by-doing. The cooking activities for kids involve learning about ingredients, food commodities and engage in practical activities using a range of skills, processes, equipment and materials. 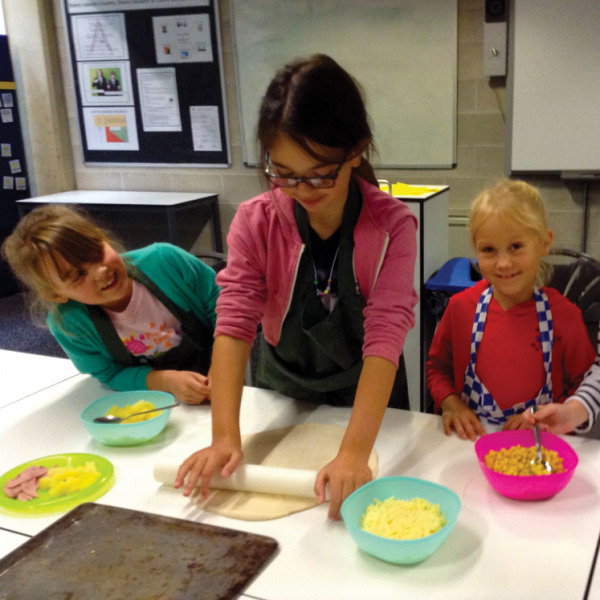 All children are able to access Food Technology within CSD Activity Camps. The kids cooking classes allow each child to develop a range of basic cooking skills which includes methods such as rubbing in, creaming and basic vegetable preparation. Furthermore all children learn the importance of keeping themselves safe in the food room. Children develop these skills whilst producing a range of sweet and savoury dishes. Therefore helping children to enjoy their food and appreciate healthier choices by combining favourites with new tastes and textures. As part of their work with food, cooking camps for kids are taught how to cook and apply the principles of healthy eating. Just like in primary school the cooking activities for kids will be given practical lessons in how to combine ingredients to produce simple, healthy food. Hence the cooking activities for kids as young as eight will now be taught basic cooking skills and how to make a balanced meal. Thus when in the kitchen, can learn math skills, practice fine-motor coordination, make choices about nutrition, and of course, learn basic cooking techniques. Making foods from different countries is also a superb way to start conversations about other parts of the world. As a result this involves preparing food, give them the chance to talk about what they like to eat, while reinforcing messages about healthier choices.